The history of Kapurthala is the history of the Ahluwalia Dynasty. The Ahluwalia Dynasty was founded by Baba Jassa Singh Sahib (1718 – 1783), who was perhaps the greatest Sikh leader of his time. A legendary figure, he bestrode the contemporary scene as a colossus. Chosen each time to lead the armed bodies of the various Sikh Misals or Tribes during a crisis, his prowess, piety and leadership, on and off the battlefield was renowned. In such esteem was he held that the various Sikh Misaldars (Leaders) considered it an honour to be Baptised at his hands. It was thus that Baba Ala Singh of Patiala was so baptised. Baba Jassa Singh Sahib’s fortitude and resolve at the head of the Sikh Misals, saw them through the vicissitudes of the ravages inflicted on the Punjab by Ahmed Shah Abdali. It was after the sack of Sirhind in 1764, that Baba Jassa Singh Sahib spread the traditional “Chaddar” (Sheet) for offerings, and personally contributed the amount of Rupees nine lakhs, in those days, for the rebuilding of the sacred Darbar Sahib at Amritsar. The Ahluwalia dynasty takes its appellation from the Village of Ahlu near Lahore, from where Sado Singh, one of the ancestors of Baba Jassa Singh Sahib, hailed. The ascendancy of the Ahluwalia Misal, continued uninterrupted until the period when the Misals were consolidated into the Sikh Kingdom under the redoubtable Maharaja Ranjit Singh (1780 – 1839), the Lion of the Punjab. Sardar Fateh Singh Ahluwalia, (1784 – 1836) the Ahluwalia Chief and descendant of Baba Jassa Singh, was a contemporary and equal of Sardar Ranjit Singh as the Maharaja was known before his ascendancy to the throne of the Sikh Kingdom in 1801. Both these historical figures, who had exchanged turbans in 1802, as a symbol of eternal brotherhood, were co-signatories to the Treaty of Amritsar in 1806, when the “Sardars Ranjit Singh and Fateh Singh”, entered into a treaty with the then Hon’ble East India Company, to halt the burgeoning Marhatta influence. Of a more retiring disposition, Sardar Fateh Singh Ahluwalia became one of the most trusted allies of the dynamic Ranjit Singh, and the stepping stone for his ascendancy to the throne of Lahore. Maharaja Ranjit Singh thereafter, entrusted the most crucial situations and responsibilities, both in his absence from Lahore, or on the battlefield, to Sardar Fateh Singh Ahluwalia. The fortunes of Kapurthala State, that once extended from Jagraon to the Beas, fluctuated during the two Anglo Sikh Wars, during the lifetime of Sardar Fateh Singh’s eldest son, Sardar Nihal Singh (1836), when after the First Anglo Sikh War of 1845-46, the cis – Satluj territories of the State were escheat to the victorious British, as the Kapurthala troops fought against the British at Buddhowal and Aliwal. It was Raja Randhir Singh (1831 – 1870), Sardar Nihal Singh’s eldest son, who restored much of the lustre of the State by winning laurels at the head of his troops during the Great Sepoy Mutiny (First War of Independence) of 1857. Raja Randhir Singh was succeeded by his eldest son, Raja Kharrak Singh, who died at a comparatively young age in 1877. Raja Kharrak Singh’s son, the infant Jagatjit Singh, succeeded his Father. 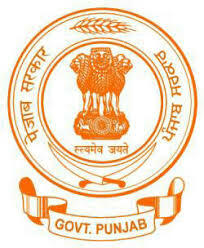 The architect of modern Kapurthala however, undoubtedly was Maharaja Jagatjit Singh, GCSI, GCIE, GBE (1872 – 1949). Ascending the ‘Gaddi’ of Kapurthala at the tender age of five in 1877, Maharaja Jagatjit Singh was in many ways, a self made and self educated man. Under the guidance of exemplary British Tutors, Maharaja Jagatjit Singh’s thirst for knowledge and languages was given full cry. He went on to master Persian, English, French, Italian, Urdu, Gurmukhi and was very fluent in Sanskrit. The State was run, during his minority, by a succession of brilliant British Civilian Officers, many of whom, in due course, went on to become Lieutenant Governors of the Punjab, such as Sir Lepel Griffin, Sir Mackworth Young, Sir Charles Rivaz, Sir Fredrick Freyer, Sir Denzil Ibbetson and Colonel Massey. 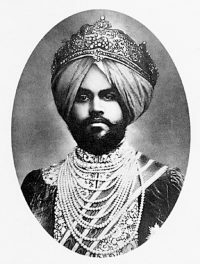 Maharaja assumed full ruling powers in 1890. He celebrated his Silver Jubilee in 1915, his Golden Jubilee in 1927 and Diamond Jubilee in 1937. As the doyen of the Princely Order of his time, when India attained Independence in 1948, he had been a sovereign Ruler for 58 years and a Ruling Prince for some 71 years. A unique distinction by any standards. Maharaja Jagatjit Singh represented India at the League of Nations at Geneva in 1926, 1927 and 1929. In 1927, he represented India at the Inauguration of the War Memorial to the Indian Army at Neuve Chapelle (France). He was also a member of the Second Plenary Session of the Round Table Conference in London in 1931 and a Member of the Indian Defence Council in 1941. The Maharaja ranked fifth in precedence among the ruling chiefs of the undivided Punjab. Under Maharaja Jagatjit Singh, Kapurthala, its relatively small size notwithstanding, rapidly acquired international recognition, due entirely to his unremitting efforts to build a model State. A great traveller, Maharaja Jagatjit Singh circumnavigated the globe on three occasions. His first visit to Europe being in 1893. From each such visit, fresh innovations and improvements were introduced into the State. A modern sewage and water system for the City, a telephone system in 1901, linking the various parts of the State, an improved judicial system in 1904, improvements in the State Forces and Police from 1906 to 1910, a State Assembly and State Council in 1916, free compulsory primary education in 1918, agricultural co-operative credit societies in 1920, and industries at Hamira and Phagwara in the 1940’s, to name just a few. 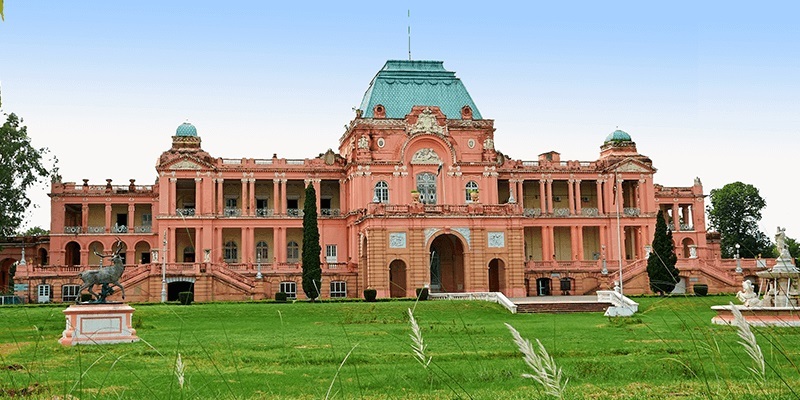 Maharaja Jagatjit Singh’s aesthetic tastes and architectural interests, coupled with his global exposure, enabled him create a mosaic of beautiful buildings in Kapurthala. The celebrated Jagatjit Palace (presently The Sainik School), built in 1906 by the French architect Monsieur M Marcel, is modelled on Versailles and Fontainebleau. Beautifully crafted and appointed, it was a showpiece of its time. The present Mall Road in Kapurthala and The Kamra Gardens area, while now much changed, offer glimpses of their former splendour. Stately mansions such as Mahijit Niwas (the residence of the late Maharaja Kumar Mahijit Singh, Maharaja Jagatjit Singh’s second son)like all such buildings, set amidst a front of one acre of lawn and garden No dwelling could be built without a similar set back arrangement. The Villa Buona Vista (now known simply as The Villa), a delightful hunting lodge on the banks of the Bein Rivulet and the present Family home, was built in 1846, the picturesque Chateau at Mussoorie in Uttar Pradesh was built in 1898. Both the Villa and Chateau being designed by Mr J O S Elmore. The State Gurudwara whose once beautiful orchard and garden today is sadly neglected, and the State Guest House, presently the Circuit House are two other such buildings. The Shalimar Gardens, the Shahi Samadhs or Cenotaphs in the Shalimar Gardens, part of the State Durbar Hall, now the Deputy Commissioner’s Office complex, and picturesque Rest Houses at Sultanpur, Phagwara and Bhunga, including the City Hall Clock Tower, were also constructed during his reign.